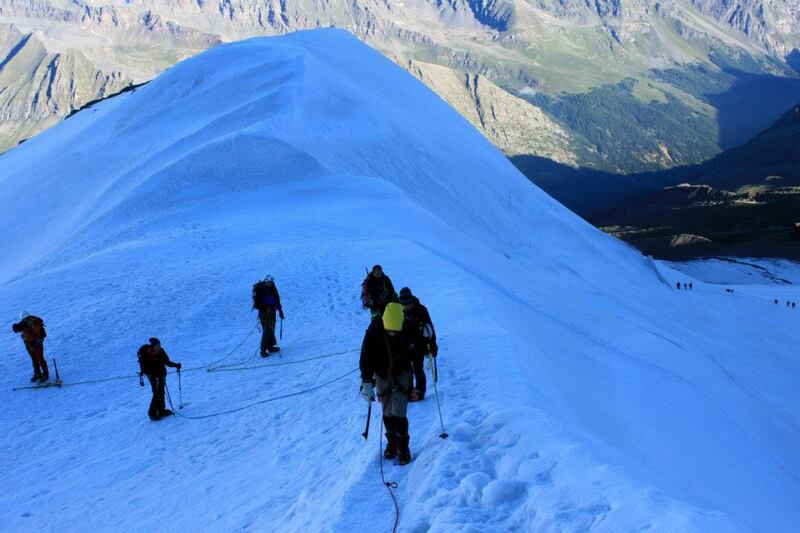 Keen to bag another Alpine summit I headed with a few friends to Italy to climb its highest mountain, Gran Paradiso. 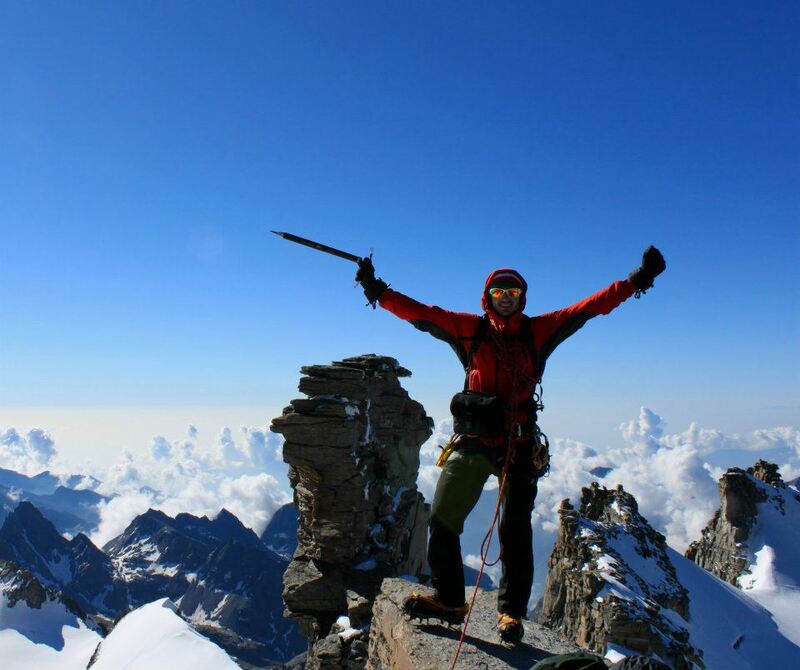 At 4,061m it would also be my first time above 4000m and a great start to my high altitude climbing career. Going from Chamonix throught the Mont-Blanc tunnel we were straight into Italy and heading down the Autoroute towards Aosta. Turning up the Valsavarenche valley towards Pont we then arrived at the car park just below 2000m. Keen and ready to go, Me, Iris, Gregor, Owen and Jo. You head up the river on its left bank then follow signs for the Emmanuel refugio. 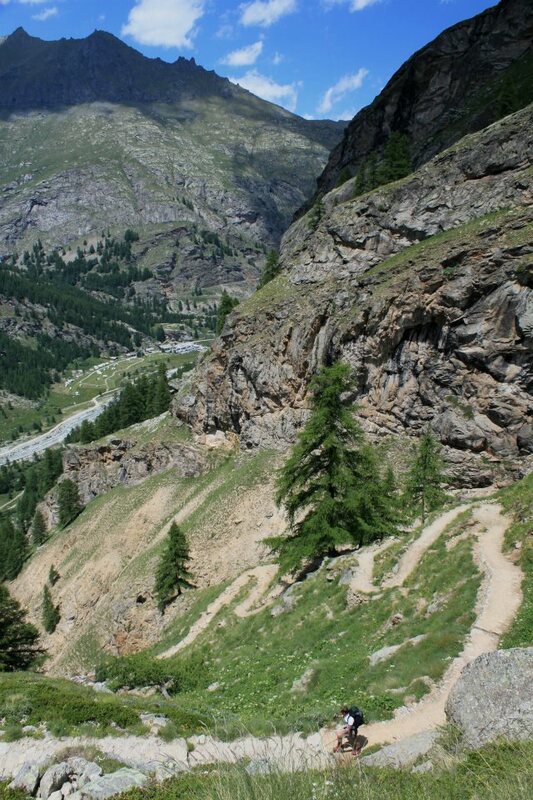 This valley is beautiful and the path going up gives you great views of the surrounding mountains. Gregor treking his way up to the refugio. The refuge we were staying in was amazing, right next to a lake with a great view. The food was good and the beds were comfy. Leaving the refugio at about 4:30am for the summit the going was quite fast, we were up to the snow line and had our crampons on within the hour and then began the plod. 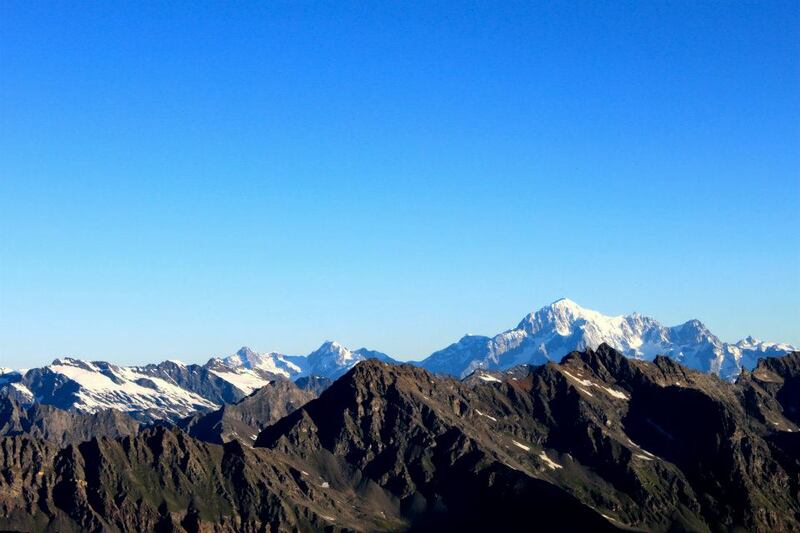 Straight away we were given fantastic views of the south side of the Mont Blanc massive. There was a really good track leading all the way up the glacier and we kept a steady pace for the first half of the snow climb to about 3,600m. Gregor again with a small que forming behind! The motivational talks began here! Not far now Gregor, For a chain smoker with no acclimatisation he carried on going all the way up with no real complaints! Summit pose! 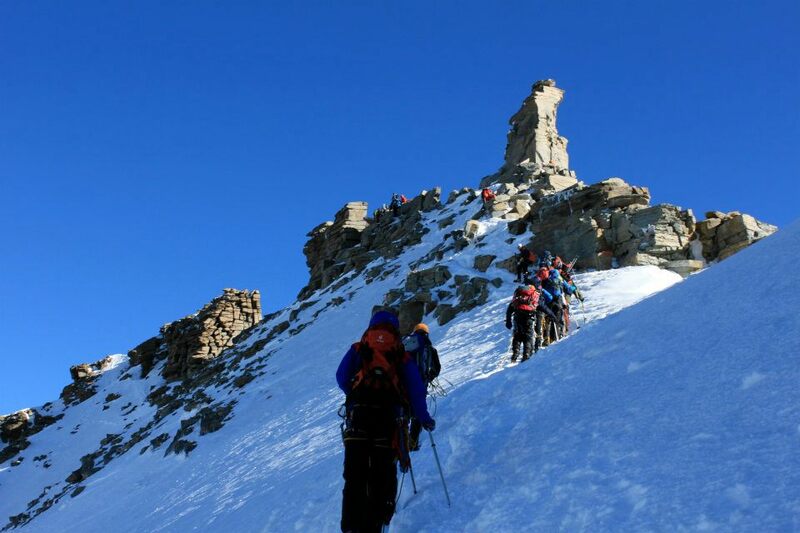 We were actually about 5m below the summit but with the amount of people scrambling about up there and the consequences of a fall being fatal, we decided this was high enough! 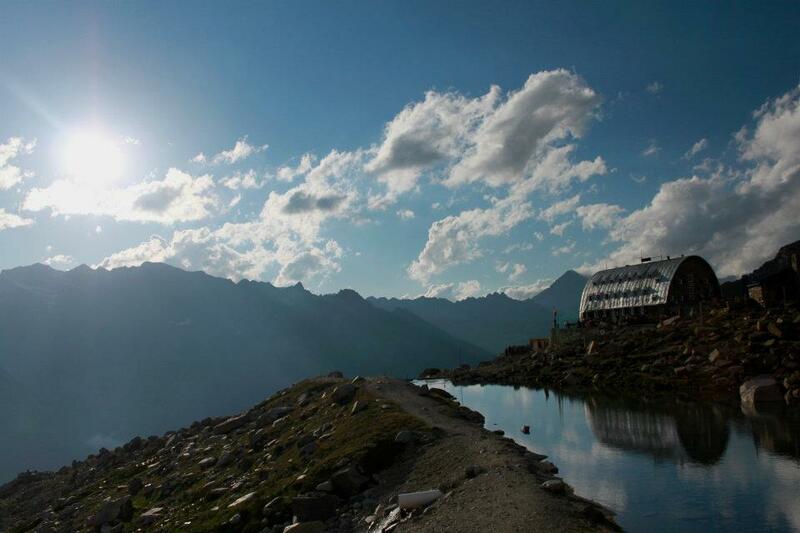 After a few minutes at the summit we began the long 2000m+ descent back to the car and a well deserved beer! Glad to have done my first 4000er and climbed a countries highest mountain, next stop Mont Blanc!